Hello there. It’s been a while, I know, but it’s only because I’ve been busy gathering great material for you! 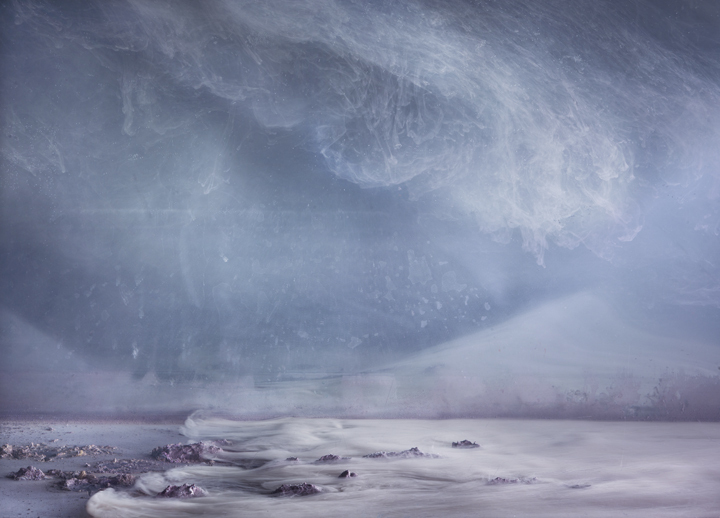 “Otherworldly” could just as well have been the title for this photograph! 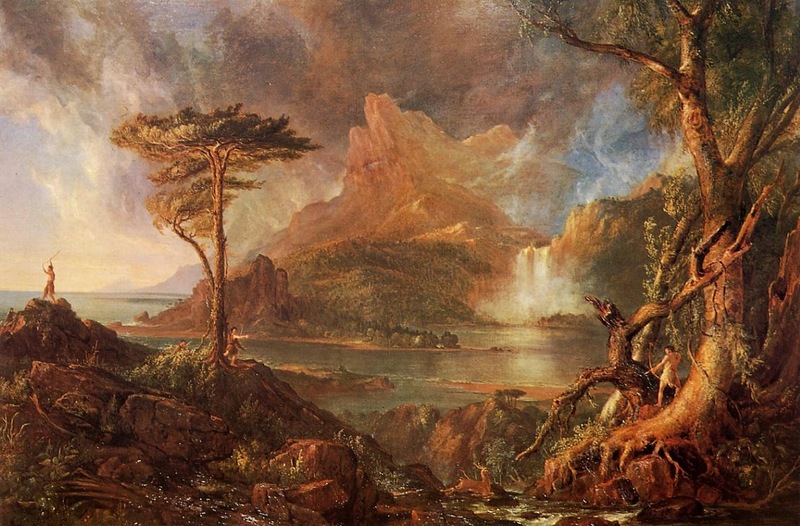 I remember being immediately drawn to the unusual landscapes, struck by their depth, the colors, the primordial-ness of the atmosphere where you can just as easily imagine a dinosaur walking among the trees as you could a fight between cowboys and Native Americans. In a similar progression as many successful painters, Keever started off with a more structured tableau or composition, and ultimately veered towards the abstract. Having experimented with ink in water to create atmosphere in all his photographs, Keever then realized that what he was most curious about was the transformation of the ink in the water. Don’t these images make you think of ballet dancers? 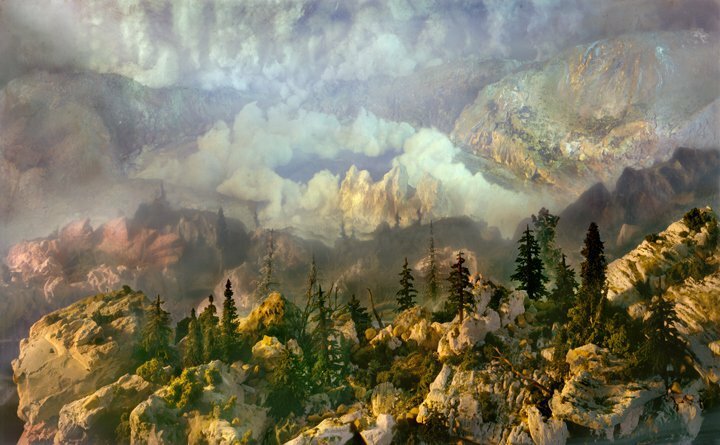 Before he was a full time artist, Kim Keever studied Engineering at Old Dominion University, Norfolk, VA and was briefly a thermal engineer working primarily on NASA projects. When I learned this, all of a sudden everything made sense. His inquisitive nature is apparent upon meeting him, and you can tell that the driving force behind each artwork is genuine curiosity. It’s as though each image is a snapshot of individual experiments- not one can be replicated in the same way. Like a Rorschach test, everyone sees something different in each image. 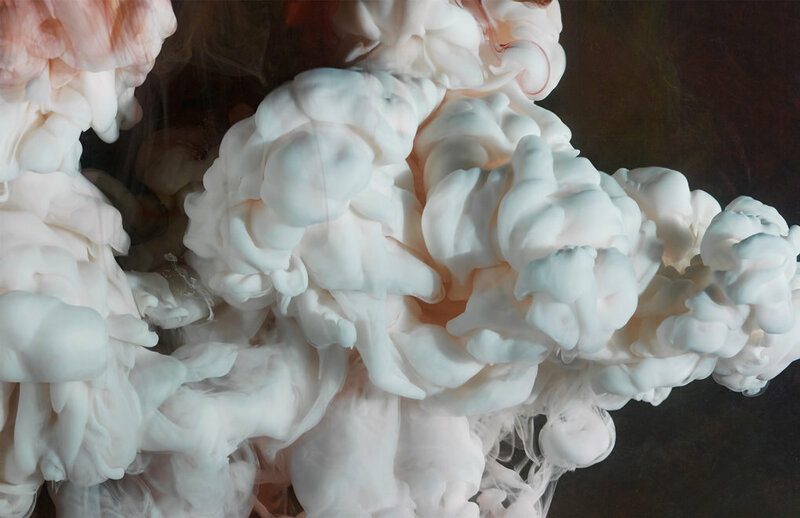 You can see more of Kim Keever’s work on his website here.